Whip up an easy banana and yogurt smoothie, with a kick of coffee. Protein, fiber and caffeine? There’s your morning jolt! 126 calories and 4 Weight Watchers Freestyle SP. 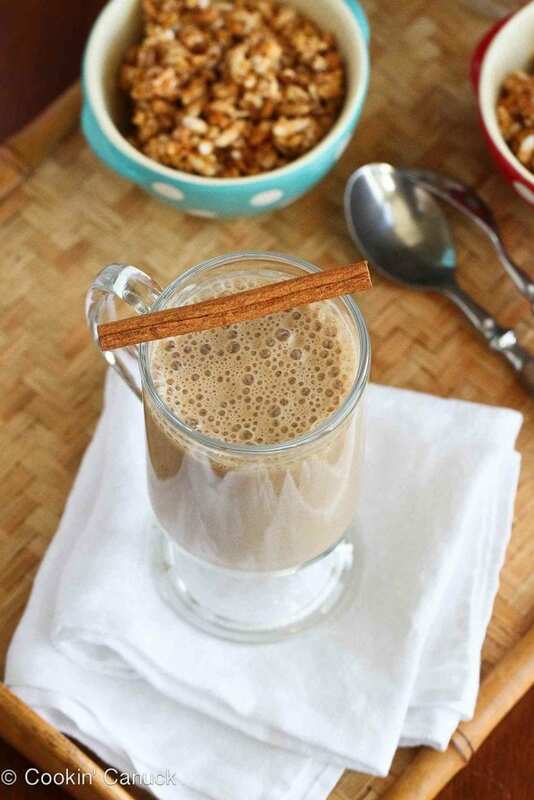 Thank you to SocialMoms and Seattle’s Best Coffee for helping me to share this recipe with you. Morning rituals are never meant to be messed with, particularly when the ritual involves caffeine. Every night, my husband grinds the coffee beans and preps the coffee pot, setting the “auto on” so that the steaming brew is piping hot when we stumble downstairs in the morning. The coffee is always consumed straight-up…no cream, no sugar, and the stronger the better. 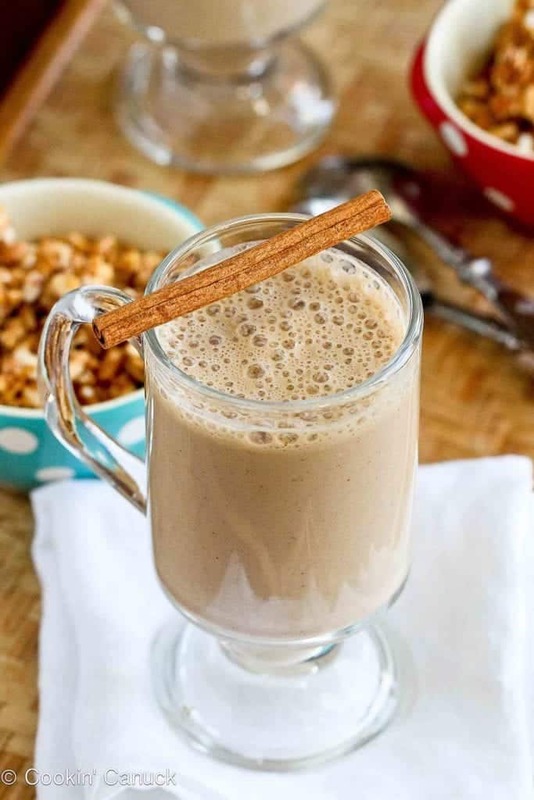 This weekend, we set aside some of the coffee and chilled it in anticipation of combining it with nonfat Greek yogurt, a banana, cinnamon, nutmeg and ground flax seed for a morning smoothie with a caffeine kick. Why not consume some lean protein and fiber while getting your morning jolt? My husband and I were curious to try Seattle’s Best Coffee when they sent me a bag of ground beans. Coffee is such a personal thing, and most coffee lovers are fiercely loyal to their favorite brand. But trying a new brand in this case is risk-free because Seattle’s Best Coffee has a “great taste guarantee”. If you don’t like their coffee, you can get your money back. 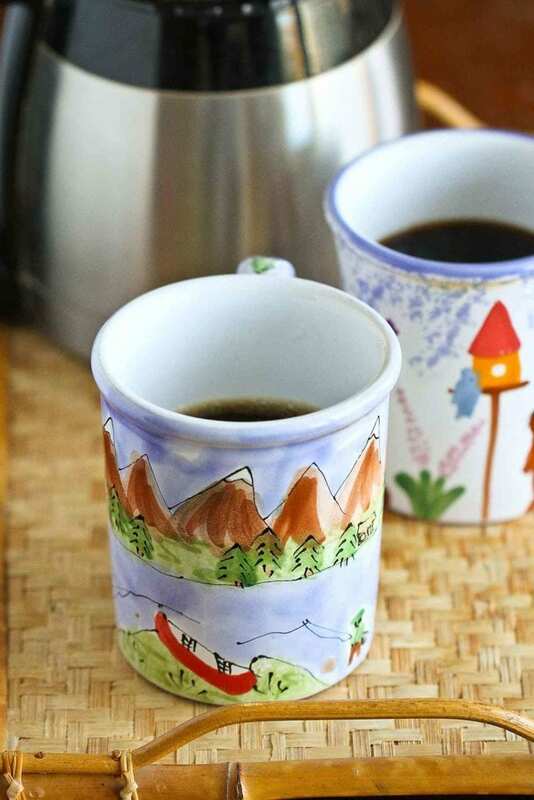 We brewed a pot, poured it into our favorite “day off” mugs (we’ve had these mugs for about 18 years, and only use them on days when we’re not working…our little ritual) and took some slurps. The coffee was bold, just the way we like it, and smooth as can be. In fact, it’s the kind of brew that we could happily wake up to every morning. And who knew that it could make a killer smoothie, too?! 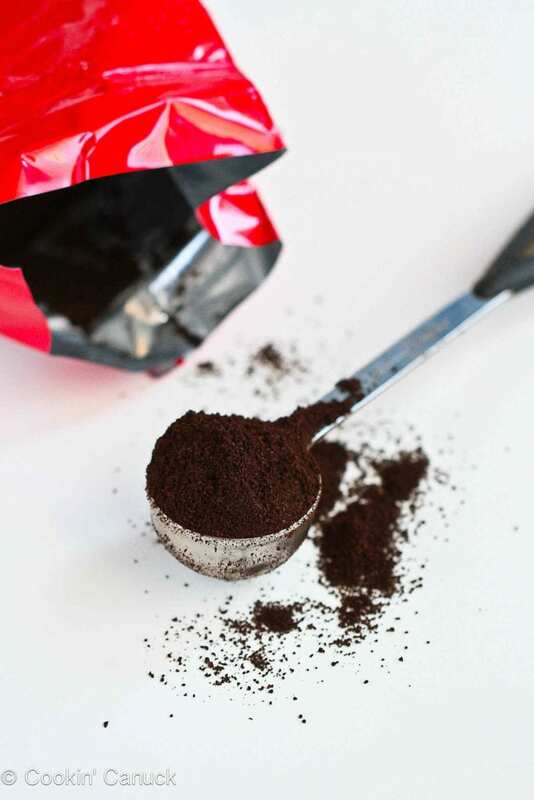 Of course, you don’t have to drink your coffee black for it to taste good. Dress it up however you like…with sugar, flavored creamers, Irish whiskey (okay, maybe not first thing in the morning). Place all of the ingredients in a heavy-duty blender – one that can crush ice. This is the one (affiliate) that I used for this recipe. Place all of the ingredients in a heavy-duty blender (one that can crush ice). Disclosure: This blog post is part of a paid SocialMoms and Seattle’s Best Coffee blogging program. The opinions and ideas expressed here are my own. I am a participant in the Amazon Services LLC Associates Program, an affiliate advertising program designed to provide a means for me to earn fees by linking to Amazon.com and affiliated sites. I love everything about this smoothie!!!! Thanks, Liz! It’s a keeper, for certain. I hope you have a chance to try it, Tieghan. The coffee/banana combination is a great way to sweeten it up. I make banana smoothies with my coffee all the time. You’ve totally inspired me to combine them! This looks wonderful!! Thanks, Ali! I was surprised at how much I liked this combo. I’m thinking this smoothie will become a part of my morning routine. Such a fabulous smoothie! This sounds awesome! Thanks, Katrina! The flavors have me hooked. I literally just finished my morning cups of coffee…and then saw this post. Now I am thinking they will never measure up ’cause it wasn’t part of a delish banana smoothie. Yum! This sounds fabulous! I could definitely love this. Thanks, Norma. I feel the same way! Nice recipe. Thank you. Have a great week! Thank you, Liz. You too. Ooh…sounds so good. I’m not a big smoothie person; I love my toast in the morning but I could do this. I can do this; maybe even right now! Thanks, Barbara. I found myself sipping on this as a mid-morning snack to curb the pre-lunch munchies. What a wonderful way to start your mornings! Thanks, Chung-Ah. It definitely gives you a kick in the morning! Seriously cannot get over the genius of this smoothie. I am a smoothie junkie AND a coffee addict.. how did I not put these two together before?! Love this! You’re so sweet, Mallory! I’m wondering what took me so long to think of this combination, too. Such a great smoothie idea, this would give me a nice kick for my runs! Ha, I would never think of mixing coffee with banana…Cool! You are so right about coffee – it’s a personal relationship with a particular brand. :) Looks great! Hi Dara! This looks like the perfect way to start a day. I like to freeze my bananas that I put into smoothies. Gives it a little thicker texture. Awesome recipe!!! I will defrinitely try this!! Thank you for sharing!! MMMM thanks for sharing, sounds great! I have been dieting so this would be great for me! Have a great day! Sounds like a great recipe and I most definitly will try this! Check out my site I have some great tasting coffee as well! AMAZING! It’s the perfect balance of sweetness from the honey and banana and tartness from the Greek yogurt and coffee. I usually have a hard time with recipes (they never turn out for me!) but this was easy and fool-proof. I’ll be making this almost every morning! It’s addictive, isn’t it? I’m so glad that you enjoyed it, Stephanie! Okay, so I have tried so many different shake, healthy drinks and each one I pick one of the ingredients is *banana*. Is there some way I can substitute banana for something else? I don’t like the taste of them so I was just wondering. Could I also just leave out the ingredient all together??? LITERALLY BEST THING TO HAVE EVER GRACED MY LIPS!!! THANK U!!! Hello, I loved the recipe, but it will still taste good if I remove the flax seed, the cinnamon and the nugmed? Hi Bruna, I’m glad you enjoyed the recipe! I haven’t tried it without the cinnamon and nutmeg. There is bound to be a taste difference, but I’d imagine it would still taste good. You shouldn’t even notice the absence of the flax seed – I just add it for a good boost of omega-3s. If I want 2 cups and just increase the coffee or add some almond or coconut milk will that change the nutritional values much? I would leave agave nectar out as I must reduce my sugar. Hi Ron, the best thing to do would be to enter the ingredients and serving size you plan to use into an nutritional calculator, such as this one. I hope that helps! Yummy!! Great smoothie that can keep me awake while easing my hunger in the early morning! OMG! This is so good! I never thought that coffee and banana would work together. I dont really care for yogurt…does anyone have a substitute suggestion? I had no idea what to expect when I made this. I’ll admit that the combination of flavors sounded a little odd to me. BUT it was absolutely delicious! My husband and I made this three times last weekend and decided it’s going to be our new weekend brunch drink. 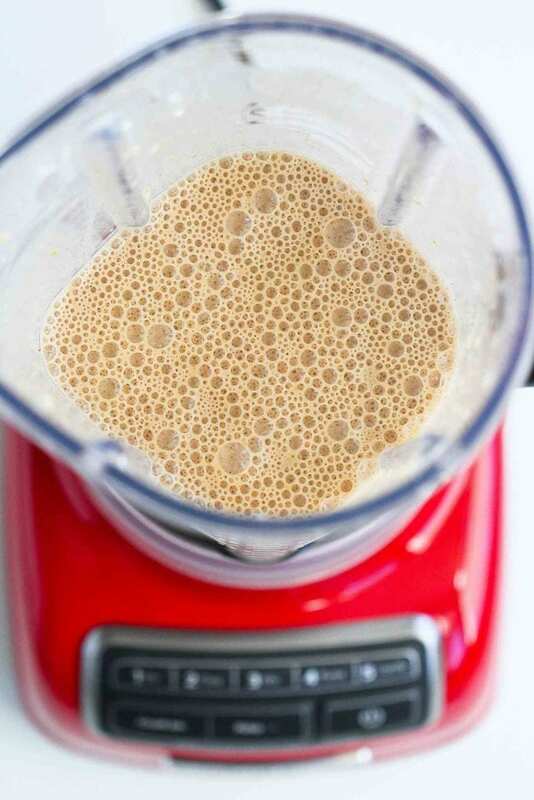 Loved this simple, tasty smoothie to get your day started. Yum! This is literally the most delicious way to jump start my day! Banana and coffee is such a yummy combo! Who would have thought coffee and banana would go together? But so much yes here!